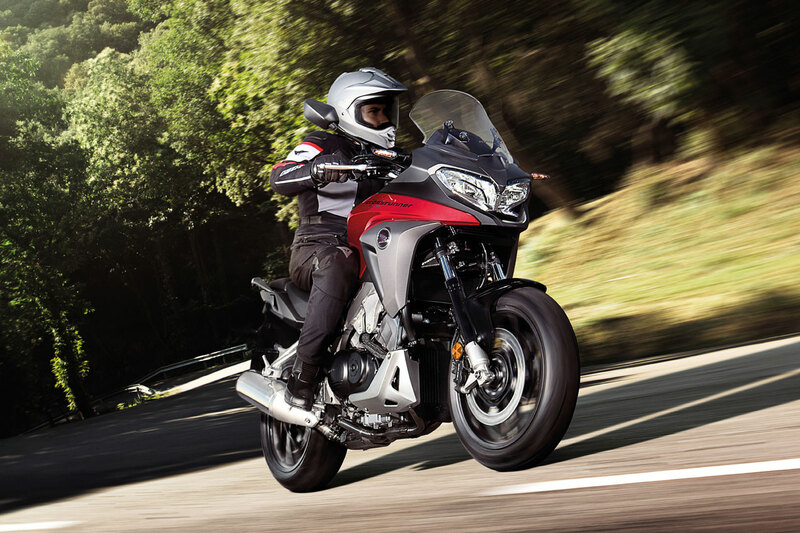 Honda Motor Europe announced the new 2015 VFR800X, which boasts a host of changes and new features to confirm its position as a premium Sports Tourer. The 2015 VFR800X benefits from revisions to its 800cc V4 engine for more top end power and mid-range torque, sharper looks all round, longer travel suspension, and new wheels and brakes. Other features include S-TCS, ABS, LED lights, self-cancelling indicators and heated grips as standard. The 2015 VFR800X combines Honda’s unique 800cc V4 engine with an upright, street-oriented riding position for maximum touring comfort but with the phenomenal performance of its twin brother, the VFR800F. The 2015 VFR800X pushes the concept forward for a stronger all-round sporty ride and sharper modern styling. The heart of the machine remains its VTEC-equipped 90° V4 DOHC 16 valve engine, which now offers increased low and mid-range torque for flexible, effortless drive, plus increased peak power of 78kW, delivered at 10,250rpm. The aluminium twin-beam frame features a lighter, revised subframe and new aluminium swingarm ­– another VFR signature piece. Suspension has longer travel: 25mm in its two-piece telescopic forks and 23mm in the rear shock. ABS comes as standard and the front 17-inch hollow-cast aluminium wheel is fitted with dual 310mm discs, worked by radial-mount four-piston calipers. Tyres are sporty street-size 120 front and 180 rear for optimal on-road performance. The rider now also benefits from the same kind of Selectable Torque Control System (S-TCS) fitted to the Crosstourer. Two levels of S-TCS are available (plus off), to sense imminent loss of rear wheel traction, and seamlessly reduce torque to allow the tyre to grip. The VFR800X is a true VFR – a motorcycle designed for hard riding fun, but with style, comfort and practicality. Accordingly, the seat is now adjustable, offering two height options, and 5-stage heated grips and Honda’s self-cancelling indicators are both fitted as standard. New, full LED lighting adds a distinct presence and premium finishing touch. 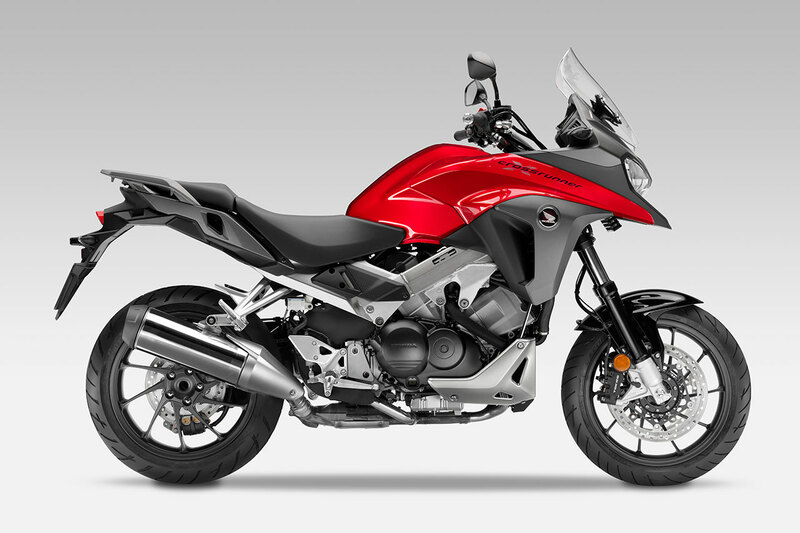 The 2015 VFR800X will be showcased in the UK at Motorcycle Live between 22nd - 30th November 2014 and available through Honda UK Motorcycle dealers from early December.